When you're in a legal bind, you should hire a lawyer to guide you through the legal process. In Denham Springs, LA, that lawyer is Harrison Law Firm, LLC. Since 1987, the community has depended on our sole practitioner to help them navigate the legal system and get the best possible results. Rely on him to do the same for you in a variety of legal situations. To schedule a consultation, get in touch with him by calling 225-664-1500. Attorney Harrison also provides notary services. Put all of his experience to work on your case. Legal challenges shouldn't be taken lightly. Depending on what type charges you're facing, you could end up having to pay hefty fines or worse, you could end up in jail. Don't risk your future thinking legal challenges are just going to go away. Hire the experienced lawyer at Harrison Law Firm to take control of your case. Call us today to schedule a consultation at our office in Denham Springs, LA. At Harrison Law firm, our goal is not just about finding more clients. Our focus is on establishing life-long friendships and being able to furnish our friends with high quality, affordable legal services. We value relationships and deeply appreciate the trust and confidence our clients place in us. We look forward to putting our legal knowledge and experience to work to help you obtain your goals and objectives. 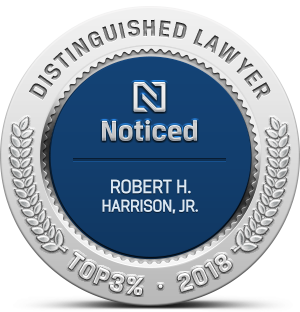 Our firm has once again been awarded a BV rating by Martindale-Hubbell, the most recognized lawyer rating service in America. 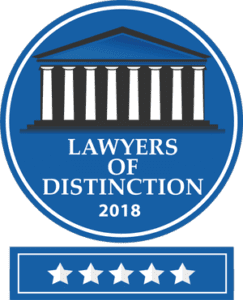 We have been recognized by our peers for "Very High Rating in Both Legal Ability & Ethical Standards"